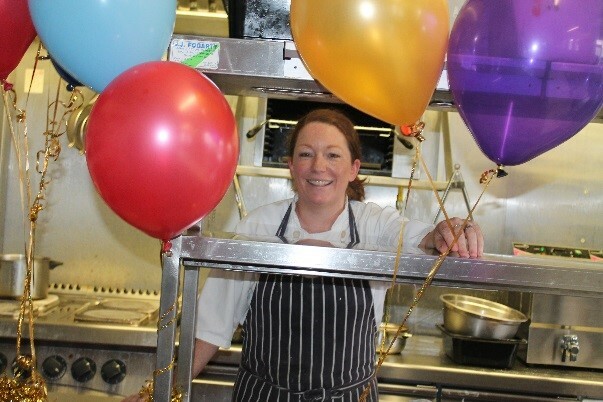 Kate O'Hora is our in - house chef who prepares the wonderful and tasty food that is served by her team to the customers of The Cherrytree. Kate has devised different menus for during the week and the weekend. The Weekday bites are quick to make and serve and suitable for lunch times Monday to Thursday. On Fridays, Saturdays and Sundays we have our Weekend Bistro menu which is more elabourate and a bit special ! We have of course our famous Sunday Specials that are very popular with all the family. We have over 75 car spaces available! Every dish in the Cherrytree is freshly made to order on the premises! Come on, take a 360 tour!